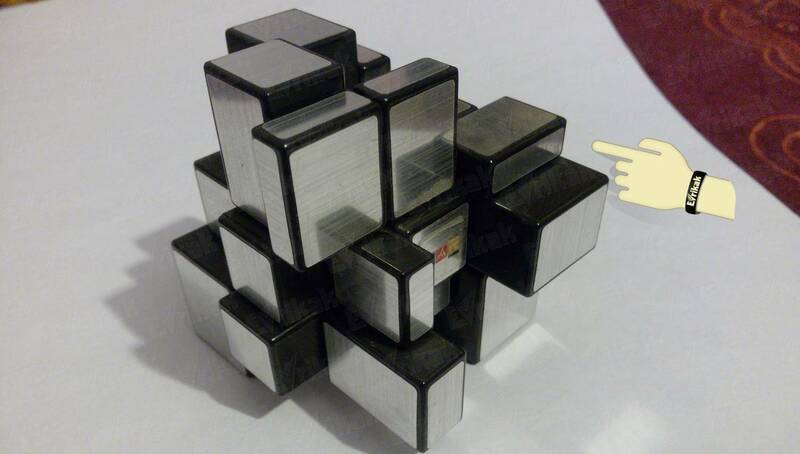 Mirror Rubik’s cube is a kind of a classic cube. But it has all the parts of the same color, but of different sizes. 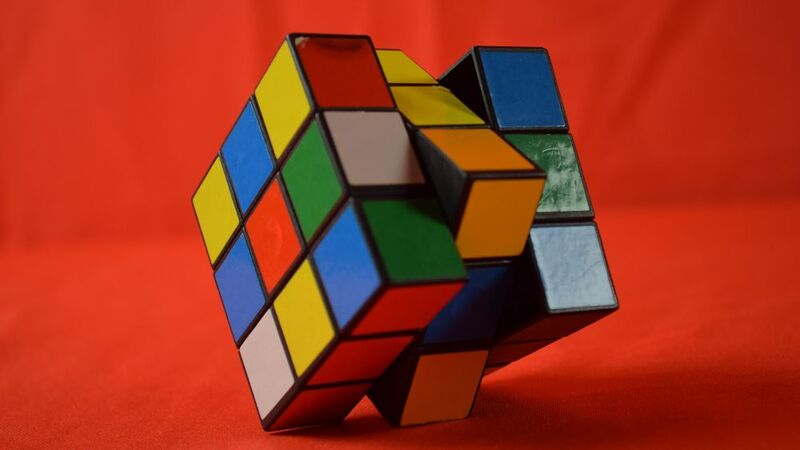 When you rotate it, the puzzle takes a chaotic form and loses its cubic form, making the solving process more complicated. 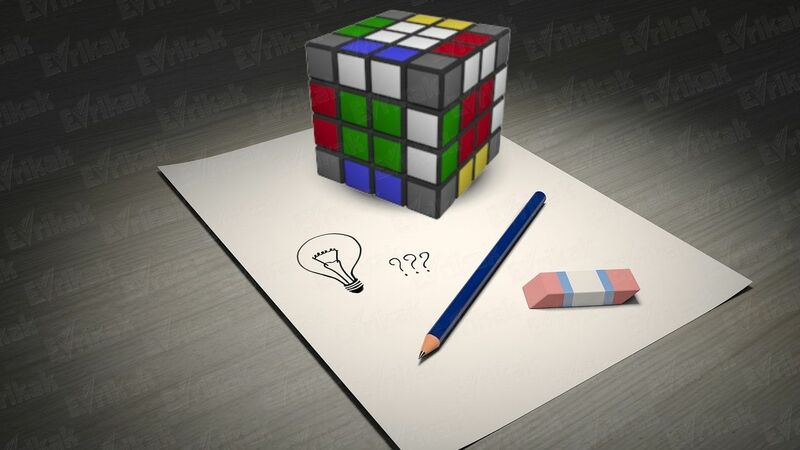 But if you’ve already known how to solve a 3×3 cube, just focus not on the colors but on the form. 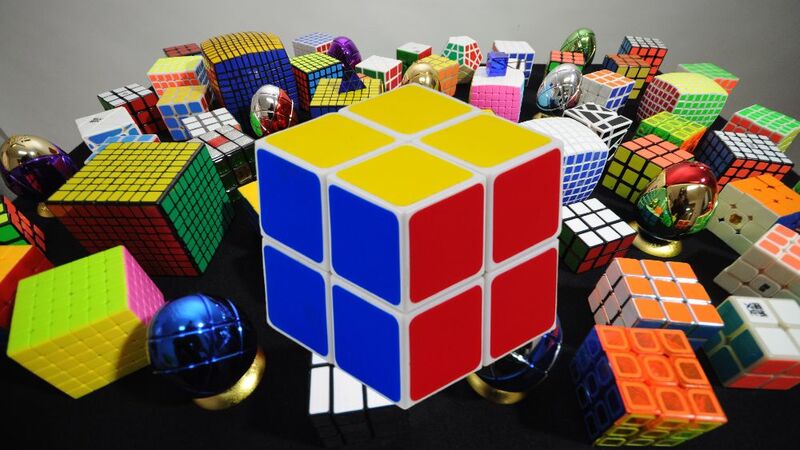 This cube, like the other ones, consists of facets: upper, left, right, front and bottom. 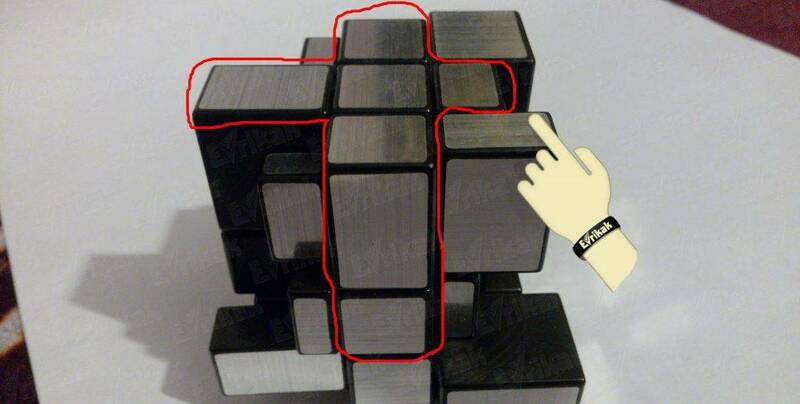 First of all, make the cross on the upper facet. To do this, search for the edge with the largest rectangle. Turn the facet with the necessary element to the right to make the edge be at the bottom. Then turn the bottom facet counterclockwise. The element must be in the center. Turn the upper facet for two times after that. The edge will be on the top. There can be the case when one of the parts is at the opposite edge. Then you need to turn the front part in the clockwise, upper part – counterclockwise, right facet – in the clockwise . 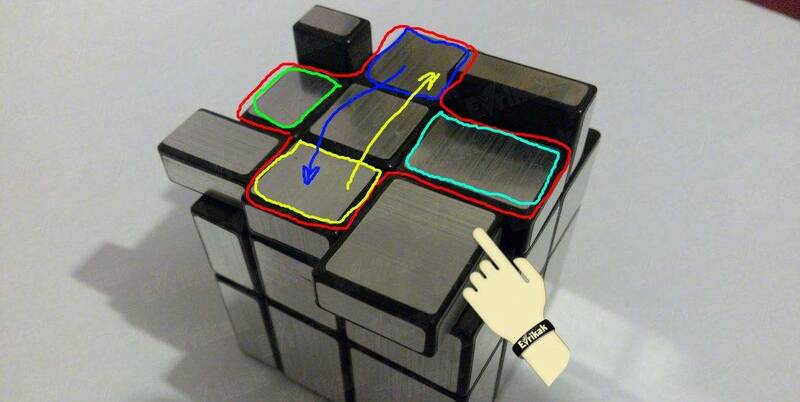 The rest of the edges are being solved in the same way. Put the corners with the details on their right places. A rectangle must be at each corner, from the smallest to the largest one. The right facet is counterclockwise. The bottom one is counterclockwise. The bottom one is in a clockwise. Put the edges of the middle layer in their places. The cube must be turned in such a way to make the unsolving facet be on the top. 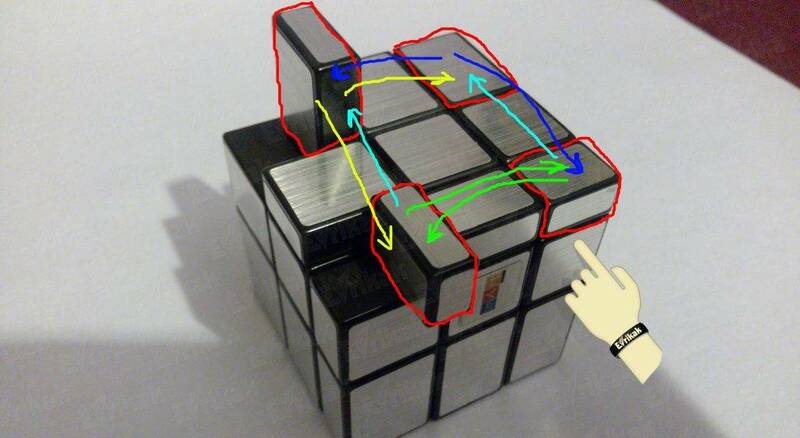 The outermost details, which go beyond the cube, must be kept on the top until the end of the solving. The upper one is a counterclockwise. The right part is a counterclockwise. The front part is a counterclockwise. The front part is in a clockwise. The upper part is a counterclockwise. The left facet is a counterclockwise. The front facet is a counterclockwise. Sometimes the needed edge isn’t on the top, but in the middle layer. You need to take it out by using any upper edge you want, you can use a combination of the first case. Find the details on the top which are solved correctly. They should form a cross. It may be so that the top has a central part without a line, a corner or a cross. If you have the corner which has three parts, it’s important to make the corner look to the left from you. If it is the line, you need to make it go from the right to the left. The upper part is in a clockwise. The left part is a counterclockwise. You should do this combination for several times. The right facet is a counterclockwise. The bottom is a counterclockwise. The bottom is in a clockwise. You should do the combination for several times until the first corner will stand correctly. Then turn the upper facet a counterclockwise. You will have the next corner in front of you that must be rotated. Do the combination again. Do such a combination with the all corners. The bottom details can go wrong, but they will take their places in a process. 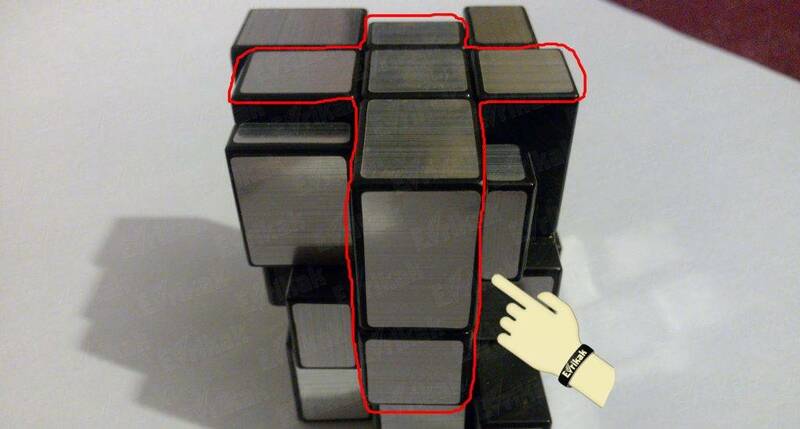 The most important thing is not to change the cube’s position at this stage.